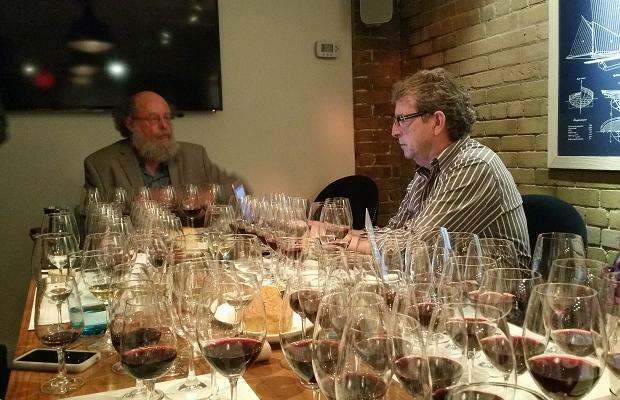 Master of assemblage and varietal maître J-L Groux sits at the head of the underground table while a busy lunch crowd fills in overhead at The Chase Restaurant in Toronto. Highly apropos not just because the Stratus winemaker is over-qualified to preside over the Niagara winery’s 10th anniversary tasting and dissertation on his wines. No, it’s because the posit perfectly illustrates the writer’s yet unspoken epiphany. Groux’s work under the Stratus Vineyards and its offshoot labels have made for some of Ontario’s great food matching wines. It may not be obvious to most but Godello is not much of a food and wine pairing guy. Chef is a fan of great wine and food compatibility but not when generalities need define the directive and the prose. When it comes to the wines of Stratus, a pattern is emerging with incredible clarity. 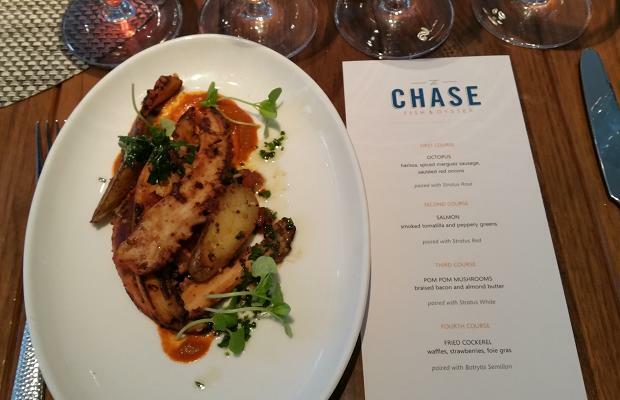 Momofuku, Select Bistro, The Chase. Three Toronto food destinations with high quotients of quality and progressive gastronomy. Three connections with Stratus. Three hits. 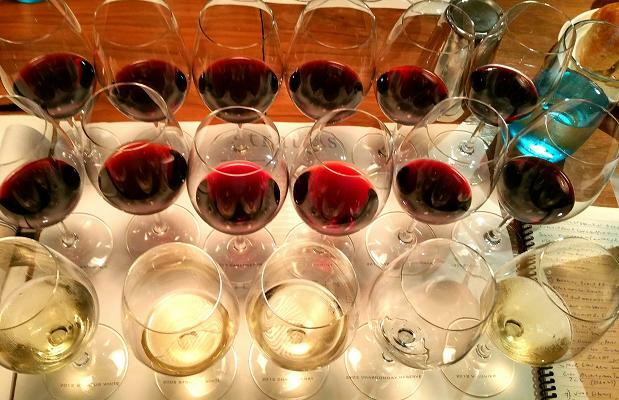 The wines are repeatedly discussed and assessed with assemblage and varietal tendency in mind. I have worked through the portfolio or a representative cross-section no fewer than six times in the past three years and yet for the first time the sound was one of a culinary vernacular, a voice heard out of ingredient and mise en place, a dawning of purpose. 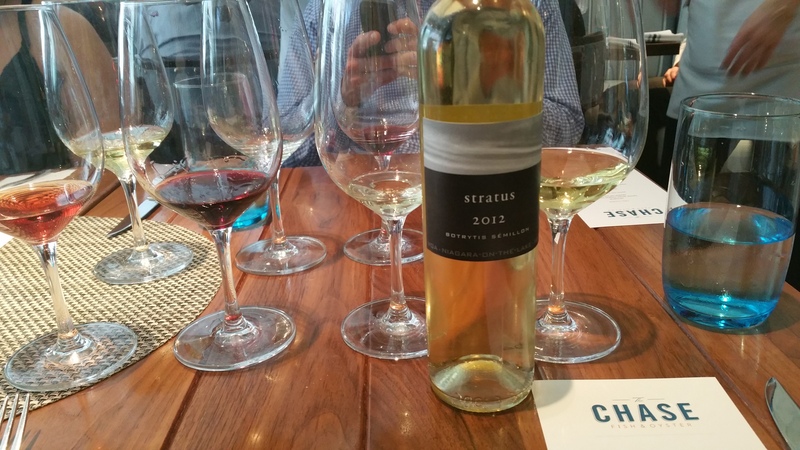 The Chase tasting was presented by the Stratus team of Groux, Charles Baker, Suzanne Janke and Nadia Skorupski. The exceptional lunch was prepared at the hands of Nigel Finley. 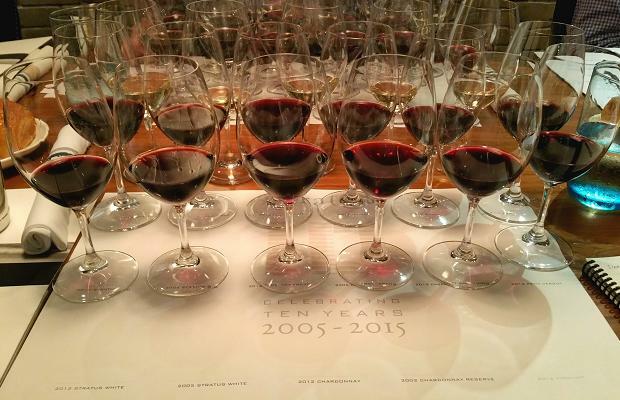 Here are the notes on 18 wines poured. The blend of Chardonnay, Riesling, Sauvignon Blanc, Gewürztraminer, and Sémillon with a not necessarily before announced whisper of Viognier was culled from vines “getting older, staying true to our technique,” recalls J-L Groux. The grapes were growing at the bottom of the vines which “made for a challenging wine.” The Gewurz acts in upwards accent to the others, its far-easter flavours speaking with scrunch. Concentration is in compression without density to soft spoken. The most unusual bunch location certainly had something to do with my aforementioned “whiff of terroir that blew away” and according to Groux “the year was very nice.” The Stratus White 2005, tasted again, as well. ‘Twas a deadly vintage (worst frost in Niagara on the Lake) and the only one with smacking aromas from the vineyard floor. “A zoo growing season,” notes Groux, “with grapes hanging high and low.” Chardonnay leads the troops in ’05, in elevated acidity and earthiness from grapes picked “in a different type of environment, near to the earth.” Highly textured and mature, leggy fruit. Though its best years are behind (because the fruit will no longer support the oak), the Groux seven-year ageing goal has easily been reached. The whiff of terroir does blow away and the honey liniment and rose emerges. So much consistency, so rapidly developed. Amazing. Witness here the winemaking acumen out of an atypical vintage and confounding result. As per the house promulgation, in Chardonnay, “still an assemblage process,” insists Groux, “no matter what we do.” Some grapes grown for Sparkling were added back in, for acidity, complexity and ultimately balance. That and though notably barrel burdened (a good, hard burden to bare) leading to a bargain, “the best I ever had.” Major key of whose who of Niagara fruit, power acoustic chords and 12-string harmonics. Drink 2015-2022. “We try to treat Gamay as a noble variety,” says J-L Groux. This is the child of a short (three weeks) Stratus maceration. Today the nose indicates concentrated strawberry compote. Gamay of the most hue, tone and texture. “We don’t want to go back to the light years of Gamay.” This futuristic vintage (of two years in oak and high, high brix) sees to that concern. Subsequent vintages will scale back but won’t be “light, easy and breezy,” though they will shed the weight of raisin and fig. Once again, the tone climbs and hangs in the upper reaches, where structure lurks, preceded with intent by four plus weeks of maceration, followed by (sic) two years in oak. Some new, some old, to be technical and precise. Will be some time before this is able to shed the bathetic, syrupy aromatics and meaty, eat that soup with a fork texture. The concentration it treated and tempered with a pantomime shred of elegance. Not as Rhoneish as some other vintages (contemporarily not a bad thing) but this combines worlds in copacetic ways. Tomato and herbs crisped in good olive oil make for good gastronomy in this consumer-friendly, balanced Syrah. Drink 2016-2019. 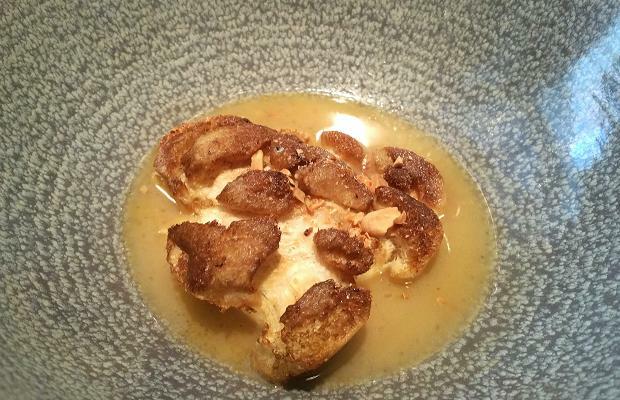 Tasted June 2015. This entry was posted in LCBO, Niagara, Niagara on the Lake, Ontario, Stratus Vineyards, VINTAGES, VINTAGES Releases, VQA, Wine Country Ontario, WineAlign, Wines Tasted and tagged Alcoholic Beverage Manufacturing, Beverage Manufacturing, Beverages, Cabernet Franc, Cabernet Sauvignon, Chardonnay, Charles Baker, Culture and Lifestyle, Drinks and Beverages, Food and Beverage Sector, Food and Cooking, Food and Wine, Gamay, Malbec, Merlot, Nadia Skorupski, Nig Finley, Petit Verdot, R.E.M., Red Wine, Riesling, Sangiovese, Sauvignon Blanc, Suzanne Janke, Syrah, Tannat, Tasting Notes, The Chase Restaurant, The Who, Vineyards and Winemakers, Viognier, White Wine, Wine, Winemaking. ← Can Chardonnay get any cooler?